Look for the causes first and then natural cures for prostate cancer will make sense to you. If you haven't already visited the page on What Causes Prostate Cancer, please do so now and then come back here. Causes: toxins in our food, water and more. Sorry, but we are to blame for choices we made earlier on in life and our day-to-day over-indulgences of the wrong foods and more. So mope about it and let your doctor take charge of what befalls you or step up to the plate and learn all you can about what got you here. Then it becomes a focused process to cleanse your body and change your inputs so you can heal. Then natural cures for prostate cancer will start to make sense to you. 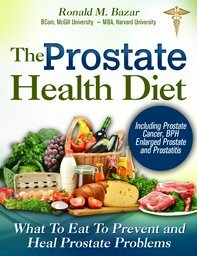 I go into greater detail in my book, Healthy Prostate. 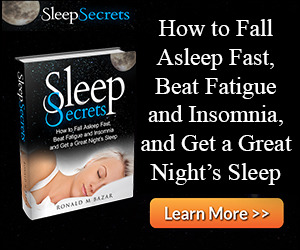 Step one is to stop the bad inputs that are creating your condition. Mainstream medical basically says there are no causes other than some hereditary factors and possible minor other ones. Well, hogwash to that. Let's look at food choices. Food today is so far removed from the natural foods of yesteryear that it is no wonder we are toxic time-bombs! Just stop eating them. Only eat food types that were around a hundred years ago. Ignore all the highly-processed and manufactured ones. That means organic natural foods, grass-fed meats and fats, healthy garden seasonal vegetables and cultured fermented side foods to enhance digestion. Use only properly prepared grains, nuts and seeds that are first soaked to reduce the harmful ingredients that prevent premature germination in nature, namely phytic acid. All traditional cultures did that. Then they became highly nutritious. Stop the onslaught of chemicals in your daily bodycare and household product uses. Yeah, I know it sounds extreme, but your prostate cancer is what is extreme caused by inattention to minute amounts of toxins over decades. So learn in great detail so you can stop the causes. Doing that and you are already half way there! "In fact, a new study from the Cincinnati Cancer Center found that BPA disrupts cellular division, which can beckon the development of cancer. Now it is time to detox your body and help get the garbage out so your cells have a chance to do their work and kill the cancerous ones. Sounds simple, but it works. Get rid of the debris that is making you miserable. Nourish your body with fresh, wholesome and natural ingredients. Once that's done, you are a giant step ahead of the alternative to prostate cancer natural cures — medical intervention that will make you miserable with their side effects. Don't buy into your doc's fear tactics! Their treatments are all they know. They don't care about causes. Most prostate cancers are very slow growing so you have lots of time. For men with prostate cancer who are younger than 65 or who have another 20+ years life expectancy, active surveillance produces “mortality outcomes not substantially inferior to radical prostatectomy.” In other words, no treatment (“active surveillance” or “watchful waiting”) gives virtually the same outcome in terms of life expectancy BUT with higher quality of life advantages! Read more at this site. In my book, there are more links to great studies which say the same thing. The best thing to do is to stop the causes and heal yourself, not the scalpel, radiation and chemotherapy treatments for your prostate cancer. Get my book to learn all you can. It's worth it. If you disagree, you have 60 days to return it. Less than 1% of my customers have so I think the odds are in your favor. In fact, if you need more time to read it and decide, just let me know and I will extend you my guarantee. The book has many sections on prostate cancer cures to aid you after you have implemented the 2 main keys below. You are well on your way now. Then get some sun on your skin in the earlier or later hours of the day and, if you can't, then get some natural Vitamin D3 and some high quality cod liver oil high quality cod liver oil. Lack of Vitamin D is a sure causal factor in many cancers, and that factor alone will have a big help for you. You can also take Prost-P10x that you can see on the right panel. I only discovered it after publishing my book. It is an extremely high-quality product. But it will do next to nothing if you don't undertake the 3 steps above that are the essence of natural cures for prostate cancer. 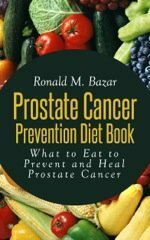 The book has many more treatments or prostate cancer natural cures that you can then complement what you have already done and help your healing process. Following my plan will have the side benefits of a much healthier you, real weight loss and increased energy. Cancer falls by the wayside when you transform yourself one step at a time. You can do it! Have faith in yourself and know that it will work for you. 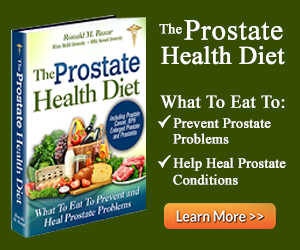 Natural Cures for Prostate Cancer: Oregano? It may be too soon to claim it as one of the natural cures for prostate cancer, but when the mainstream media reports on alternative treatments, I say that is progress. The best way to get oregano other than using it as a herb in cooking and salads is to buy Oil of Oregano Capsules.